Numbers drawn: 18, 23, 26, 27. 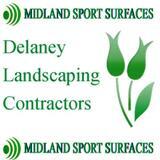 2 x €100 winners: Denis Feely, Gerard Brennan. Next week's jackpot will be €14,000. Play local or online at www.thedownsgaa.com. ACFL Division 1: The Downs 3-7, Garrycastle 1-13. 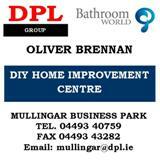 ACFL Division 2: Milltownpass 7-11 The Downs 0-9. 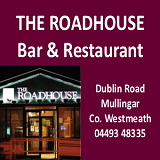 Best of luck to Luke Loughlin and his Westmeath team mates who take on Laois this Saturday in the Div 3 League Final in Croke Park at 445pm. 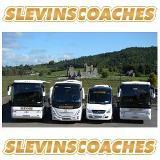 The club are running a bus – contact Sean Carroll for details. U16’s must be accompanied by an adult. Approx cost €10 adults, €5 kids. Join Scór Iarmhí as they celebrate 50 years of Scor at their Dinner Dance in the Greville Arms Hotel on Saturday 27th April with music by The Pick Ups. Dinner served at 730pm. Tickets €40 are available from Noel Lynam or Alice Deihy. Now that Spring time has arrived, our underage coaching for U6, U8 and U10 boys and girls moves to out usual Friday slot at 630pm for the rest of the season. New players always welcome at all age groups. Our Gear Shop located upstairs in the clubhouse is open every Friday from 630pm to 745pm. 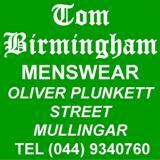 All the usual gear plus brand new jackets, adidas polo shirts, tee shirts and leisure shorts. 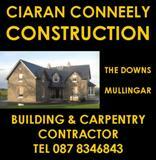 Check website and Facebook page for details All queries to Carmel 087 9496347. There are lots of ways to keep up to date with our activities. Our award-winning website can be viewed at www.thedownsgaa.com where you can sign up to receive our weekly newsletter by email. Also check us out on Twitter, Facebook and Instagram. If you wish to sign up and receive our occasional free text messages, text your name and number to 087 8362297. If you wish to stop receiving our messages, then text STOP and your name to 087 8362297.